This story is about Lincoln Allen who graduated from the very first HOPE for Prisoners workshop back in 2010. He wants share his story. Lincoln grew up in different trailer parks in East & North Las Vegas. His mom & step dad were bikers. His biological dad wasn’t around much until he got him & his brother out of foster care. Because of Lincoln’s surroundings and upbringing, he started using drugs when he was 11 yrs old, meth. At the age of 13, he started making meth and found himself coming in & out of juvenile hall, until he turned 18. Three weeks after he turned 18 Lincoln caught his first felony. Straight to prison, got out & went right back in less than 100 days later. The next time he got out of prison he was out less than 70 days before he went back in. Back in those days all he cared about was shooting meth & committing crimes. He knows most people think that if they are not on drugs they will have no need to commit crimes. For him it was kind of the opposite. It was a total 50/50 give & take relationship. If he wasn’t committing crimes so that he could get high, then he was getting high to go and commit crimes. They were both equally important to him. By the time he was well into adulthood it was the only way he knew how to survive. Back then Lincoln knew that would be his life up until he was going to die. He felt he was going to die on the streets or in prison and was convinced that it was his destiny. The second time that I was at NDOC’s Casa Grande, he realized that the life he was living was not actually his destiny. That is not anyone’s destiny. Lincoln’s second time at Casa Grande is when he met his mentor Jon Ponder and was accepted into the HOPE for Prisoners program. In Jon, he met a man that surpassed the stigma that says once you are a prisoner and a criminal that you would always be one. Jon showed him that he would not always be a criminal which was different from what everyone had been telling him his whole life. Lincoln had always been told that he would forever be a worthless, low life criminal. When he entered the HOPE program, he made a decision in his life to change. He wanted to change himself and was finally given the hope that this was possible, even for someone like him. Jon helped Lincoln truly believe in himself for the first time in his life. Shortly after he graduated the workshop, he got a job with Real Water where he was employed for 4 years. Lincoln also started the court process while in Casa Grande to get custody of his children who at that that time were 2 and 3 yrs old. He was released from Casa Grande in August 2011 and within a year gained sole legal custody of both of his daughters. After he left Real Water he got the job where he is still working now in the electrical trade. He is doing great now. Lincoln is financially stable and currently looking to buy his first house. Lincoln is a good father to his kids and loves that he is able able to provide them with everything that he did not have when he was their age. Lincoln is getting ready to go back to school to get some more education. His relationships with his family have been restored and he is closer to his only brother more now than they ever were growing up. His advice to those graduating is to never doubt that you can change. You have to truly believe in yourself. You have to cut ties with everyone, He repeats, everyone and everything that was a part of your life when you were using drugs or doing what you were doing that got you locked up. He says you have to replace the people who were in your life with people who you desire to be like now. 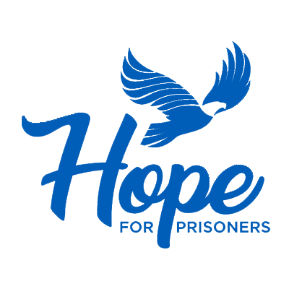 Stay connected to the HOPE for Prisoners program, to your mentor, because this is what will help you to live out the changes that you have decided to make in your life. It will not be easy and there will be bumps in the road along the way at first. But the longer you choose to live the right way, it gets easier and the peace that you will experience is worth every challenge that you will have to overcome. Next month, on July 21 Lincoln will have 9 yrs clean off of drugs, after a 18 yr meth addiction. Most people do not come out of an addiction after that long. He feels he owes it all to Hope for Prisoners & Jon Ponder.